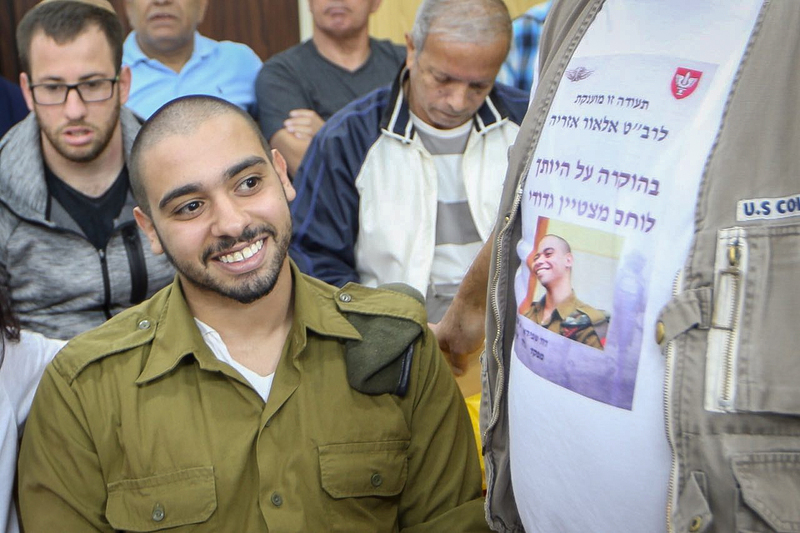 The army’s prison parole board on Monday ordered Elor Azaria, a former IDF soldier convicted of manslaughter, released from prison in May, when he will have served two-thirds of his sentence. 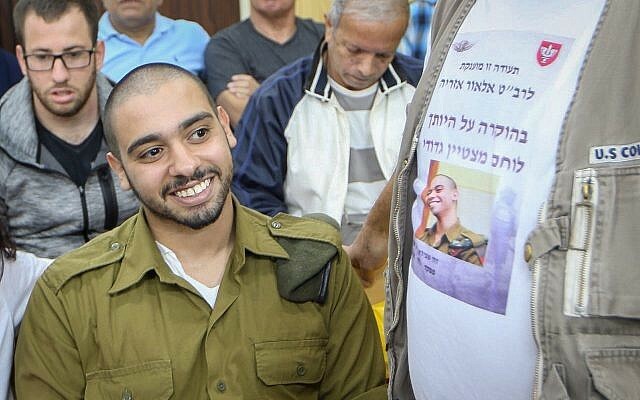 Azaria is to be released on May 10, after completing 10 months of his 14-month sentence for killing an incapacitated Palestinian attacker in the West Bank city of Hebron in 2016, the Israel Defense Forces said. The development came after last week Azaria appeared before the military parole board to ask for early release from prison, having served half of his sentence — the minimum amount of time before such a request can be made in the army criminal system. In civilian proceedings, convicts have to serve two-thirds of their sentence before seeking parole. During the hearing, military prosecutors said they would agree to the early release. 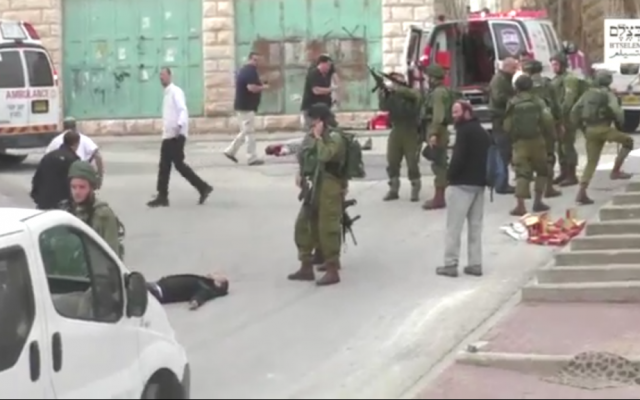 Azaria, the so-called “Hebron shooter,” was found guilty last year of killing Abdel Fattah al-Sharif, who several minutes earlier had attacked two IDF soldiers with a knife. In February 2017, Azaria was sentenced to an 18-month prison term, which IDF Chief of Staff Gadi Eisenkot later shortened by four months. Azaria began serving his prison term on August 9. During last Wednesday’s proceedings, which took place in the army’s Tel Aviv headquarters, Azaria’s attorney Yoram Sheftel argued that his client had behaved well in prison. Military prosecutors, meanwhile, said the soldier’s punishment had already been limited by the judges in his initial sentence and then shortened by Eisenkot, so a further reduction was not warranted at this time. Still, they said they would not oppose a parole request in two months’ time, after Azaria had served two-thirds of his sentence. Azaria has never expressed regret for his actions, something the military prosecutors also noted in their arguments. Then-Sgt. 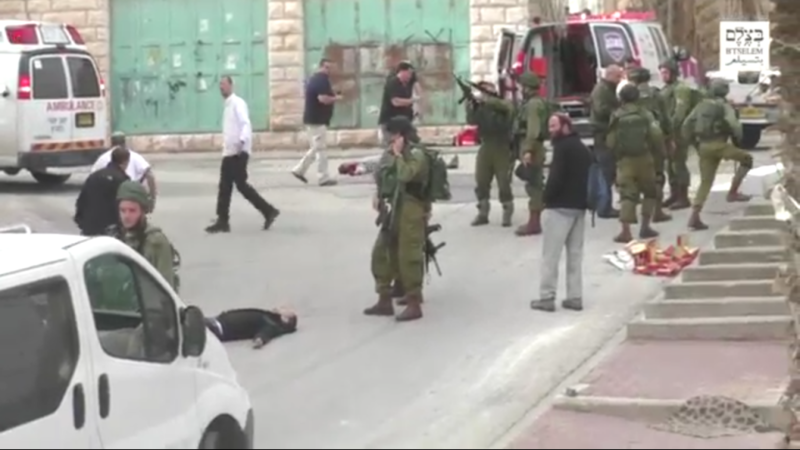 Azaria shot and killed Sharif on March 24, 2016, some 11 minutes after Sharif had been shot and disarmed when he and another Palestinian man attacked two IDF soldiers. Azaria maintained that he opened fire because he believed Sharif had a bomb hidden under his clothes. A military court, however, dismissed that claim, citing the soldier’s nonchalance in the moments before he killed Sharif, and his statements to fellow soldiers that the assailant deserved to die for attacking his comrades. The Hebron shooter case revealed deep divisions in Israeli society over the army’s activities in the West Bank, with some — mostly on the right — arguing that he had behaved heroically in killing the Palestinian assailant, while others said he had broken the law and deserved a harsher sentence than he received. The former soldier — he was released from the military part of the way through his trial — garnered support from leading politicians, who expressed hope that they could sway President Reuven Rivlin to grant Azaria clemency. In November 2017, Prime Minister Benjamin Netanyahu, Defense Minister Avigdor Liberman, Welfare Minister Haim Katz, Justice Minister Ayelet Shaked, Interior Minister Aryeh Deri and approximately 50 other lawmakers signed a petition saying that Azaria should be released.